After IDF closes cases of killings of Gazans during 2014 war, PA asks ICC to speed up its inquiry of alleged Israeli war crimes. The Palestinian Authority (PA) has asked the International Criminal Court (ICC) in The Hague to speed up its inquiry of alleged Israeli war crimes in Gaza, Haaretz reported. According to the newspaper, the move came in reaction to the Israel Defense Forces’ statement Wednesday that it was closing seven cases of killings of civilians in the summer 2014 war, without opening Military Police investigations into them. 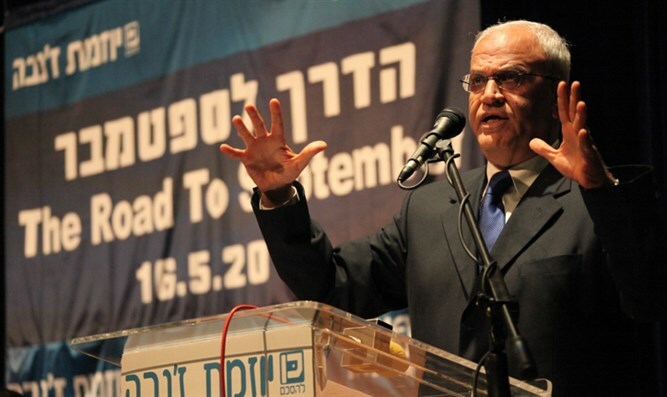 “We had no expectations that Israel would do anything but justify its war crimes in the biggest military campaign against Palestinians in the Gaza Strip and renounce all responsibility, after an investigation that its colonial regime carried out,” said PLO Secretary General Saeb Erekat. He added that the cases that were closed involved Israel’s bombardment of civilian areas, including UN buildings and shelters, hospitals and other structures protected by the Geneva Convention. Erekat claimed that during the war, which lasted 50 days, 487 children were killed but despite this, Israel has not taken responsibility for its violence against civilians. He said the PA has submitted to the International Court information about Israel’s war crimes. “The official Israeli position, that renounces all responsibility for war crimes, means it’s time the International Court starts doing more than mere examining,” added Erekat. “Palestine” officially joined the ICC on April 1, 2015, and immediately filed a series of legal complaints with the court, including a claim that Israeli “settlements” are “an ongoing war crime”. Additional complaints revolve around the war in Gaza in 2014, the issue of terrorist prisoners in Israel, and others. Palestinian Arab non-governmental organizations, collaborating with Israeli organizations, have submitted evidence of Israel's alleged “crimes” against civilians and UNRWA schools in Gaza in the summer of 2014. The move to join the ICC and file complaints against Israel is part of the PA’s strategy of a “diplomatic war” against Israel.